Unfortunately, I haven't received too many new books this week. I've been saving up my money to buy some of the fabulous releases which are being published on July 10th, so I hope to have a larger haul next week! (: Nevertheless, I am excited about the books I got this week! Awesome book haul! I am SO jealous you have Article 5, it looks amazing! Tiger Lily too! I bought Cinder last week but have yet to read it - I can't wait to, though! I also haven't read the Unearthly series *head desk* but if I ever get the chance, I probably will! I hope you enjoy all, and thanks for stopping by! 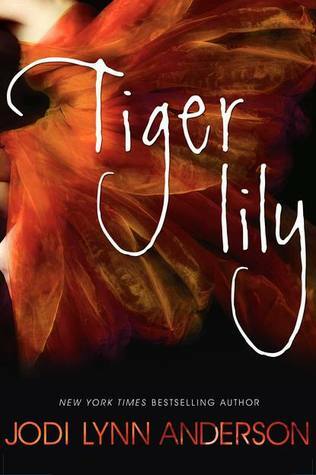 What a coincidence, I bought Tiger Lily this week too. :) Doesn't it sound absolutely divine? And I ADORED the Unearthly series; say hello to Tucker for me and blow him a kiss, yeah? ;D I hope you enjoy Looking for Alibrandi, and even though it's the only MM book I haven't read yet, I've heard excellent things about it. Plus, it's Melina Marchetta. It HAS to be good! Those are some really great books. I know there is a lot of hype but I really love the Unearthly series. Cinder is amazing as well, and I would really love to read Article 5- I've heard some great things about it. Enjoy- and thanks for stopping by my blog earlier! 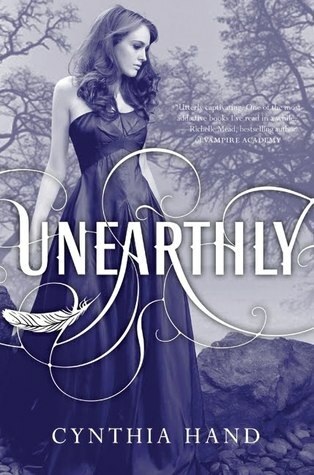 :) I am also one of the people who haven't read Unearthly yet and I'm not sure I want to read it. Enjoy all your new books!!!!!!! Tiger Lily is amazing!!!!!! I've had a bad experience with angel stories, so I'm a little wary ! Great haul! I've got Cinder on my kindle and can't wait to read it, I just saw the cover the sequel. You received some great books this past week! Happy reading!! I still have Cinder to read and I'm looking forward to it.